You would likely be surprised if you knew more about your indoor air quality, like how many pollutants/toxins you may have floating around your home or business. 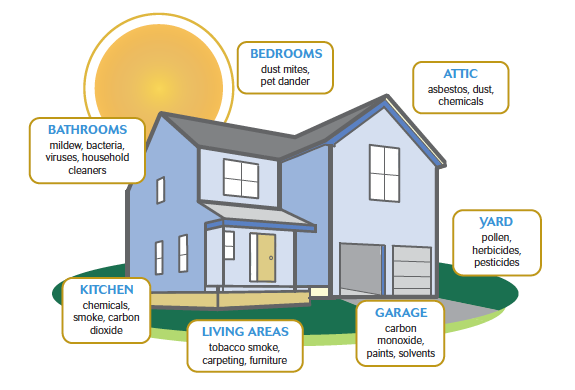 These pollutants/toxins include chemical vapors, microbes, mildew, viruses, bacteria, dust, dirt, pollen, allergens and more. Accel Heating & Cooling can help clean up the air you and your family breathes. If you’re a DIYer, you can definitely take steps to bump the air quality in your home. But even the most mechanically-minded homeowners can’t do it all… and that’s where Accel Heating & Cooling can help. With a complete offering of indoor air quality equipment choices, knowledge and expert service—for all makes and models, 24 hours a day—you can take relax and take a deep breath and know it’s the highest indoor air quality possible. Our team of experienced and professional HVAC Repair technicians can repair or install all makes & models of HVAC equipment. We are prepared for all St Louis Heater Repair & St Louis AC Repair issues that you may require.